We take a look at the new Samsung Series 5 Ultra, and explain how the new hardware makes it one of the best touchscreen ultrabooks available in the market today. The Samsung Series 5 Ultra Touch got the touchscreen update sometime back. This is very much in line with how Windows 8 laptops and ultrabooks are progressing. 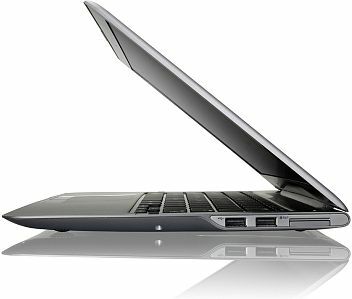 At a time when ultrabooks started out as expensive, and were attractive only to a limited ‘rich’ demographic, the Series 5 Ultra Touch brought a dollop of affordability and made the new category of devices affordable for the masses. The design elements on the new Samsung Series 5 Ultra Touch remain largely the same as the predecessor. However, there are subtle changes. The all silvery and neutral shades of grey should appeal to a wide demographic of potential users. Samsung calls this Titan Silver. The colour theme has been slightly altered though, with the lid getting a much darker colour finish. While the first generation of the Series 5 all grey colour machines weren’t bad to look at in any way, the new one with the dual tone finish looks a lot better. The lid has a brushed finish on the aluminum, which is completely matte in the final look. One of the major advantages of the matte finish is that it does not gather fingerprints, dust, and scratches like a machine with a shiny finish would. The base of the new Samsung Series 5 Ultra Touch has fiberglass, while the keyboard deck is of very good quality plastic. The fiberglass is a very light material, but extremely resistant to the usual wear and tear a laptop’s underside would typically register. The entire machine has been put together very well, with no rough edges. Gaps between panels are even throughout, and there is no flex on the usual spots – the base, or the middle of the keyboard. Despite being plastic, the build quality is solid and rigid. The keyboard deck has the lighter shade matte finish with a brushed design, which is very critical for areas like the palmrest. The new Samsung Series 5 Ultra Touch’s keyboard gets a piano black base, and that really is the only slightly shiny element on this entire machine. Samsung has ensured that the Series 5 Ultra Touch looks very sophisticated, and the use of chrome on the uniquely designed power key adds to that. The large touchpad on the new Samsung Series 5 Ultra Touch is a rather welcome feature, something that not many laptop makers really bother with. The response is consistent and multi-touch gestures work well because there is more space available for you to run the finger around. The right and the left click keys are separate buttons, and are not integrated within the touchpad. The old world charm with this is unbeatable! The Samsung Series 5 Ultra Touch NP540U3C-A01IN has a 13.3-inch display. The bezel around the screen is very thin, and within the compact form factor, Samsung has managed two things very well – the layout of the keyboard and the adequate palmrest area for comfort of use. The Series 5 Ultra Touch weighs 1.69kg, which is for the conventional hard drive version. This is one of the lightest among all the ultrabooks and much lighter than all the laptops out there, which usually weigh around 2kg for a similarly specced machine. The Samsung Series 5 Ultra Touch NP540U3C-A01IN’s design is enhanced by the thickness element as well. The Series 5 Ultra Touch is thinner near you, and thickens as it gets closer to the display hinge at the far side. This is to allow for comfortable port placement, without sacrificing on the numbers available. On the left side spine is a USB 3.0 port, the HDMI out, the RJ45 jack, the 3.5mm headphone jack and the VGA out (separate accessory needed) if you want to connect the machine to one of the older displays. The right side spine has two USB 2.0 ports and the memory card reader. 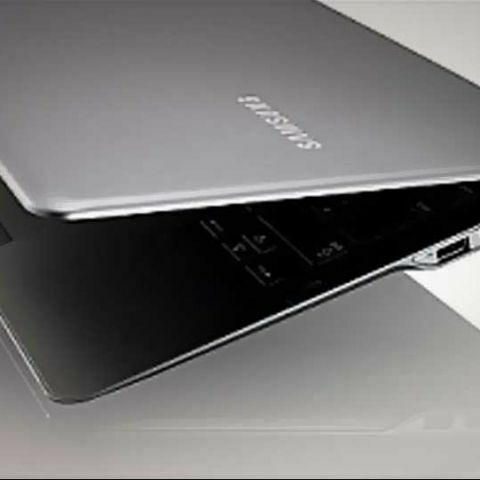 Unlike some ultrabooks that place these ports behind the display with the consideration for keeping the machine as thin as possible, Samsung has perfected the blend between comfort of use and design. Placing ports behind the display makes it uncomfortable for the user to access. The Series 5 Ultra Touch has been packed in with what you would expect as standard in machines now – the Wireless “n” chip and Bluetooth 4.0. 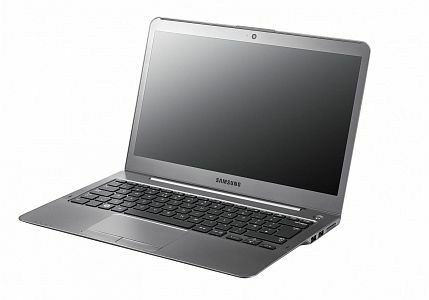 The Samsung Series 5 Ultra Touch NP540U3C-A01IN is powered by an Intel Core i5-3317U processor. 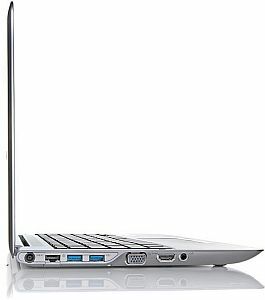 This is the one that powers many an ultrabook, and the performance is excellent. This is the dual-core processor that clocks at 1.7GHz, and is based on the Ivy Bridge architecture. Individual cores offer a base speed of 1.7 GHz, but Turbo Boost can increase these to 2.4GHz in case both cores are active and 2.6GHz if only one core is active. The TDP for this processor is rated at 17W and has the 22mn manufacturing design. The low TDP for this ULV processor makes this idea for laptops and ultrabooks which need to focus on performance and battery life, while keeping the heat as low as possible within the thin form factor. Samsung has loaded the Series 5 Ultra Touch NP540U3C-A01IN with 8GB of RAM, which is quite rare for any laptop or ultrabook in this price bracket. All other machines that you will consider are likely to have 4GB of RAM. This gives the Samsung Series 5 Ultra Touch an amazing performance boost, and this is pretty much an exclusive for this machine, at the moment. It saves you money on upgrading later, as well, along with the immediate performance benefit. Graphics on the Samsung Series 5 Ultra Touch NP540U3C-A01IN are handled by Intel’s HD 4000 chip. The machine packs in a 500GB hard drive and a 24GB Express Cache flash drive for quick boot and file caching. Samsung preloads the machine with the Fast Boot utility that which improves Windows startup time considerably. 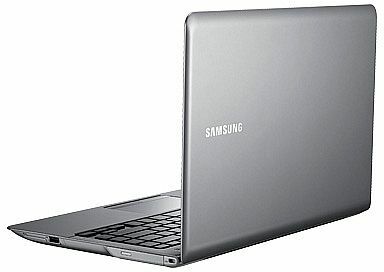 The Samsung Series 5 Ultra Touch NP540U3C-A01IN has a 13.3-inch HD display. By that, it means the resolution is 1366 x 768 pixels. Samsung rates this display at 300 nits luminance levels. This is a TN panel with the LED backlighting. The Series 5 Ultra Touch is the only ultrabook in this price bracket which offers a matte display. The 10-point touchscreen makes using Windows 8 a different experience. While you may not use the touchscreen on a laptop on a daily basis, it is still good to have a complete feature available, particularly when you are using the apps in the Windows 8 UI. 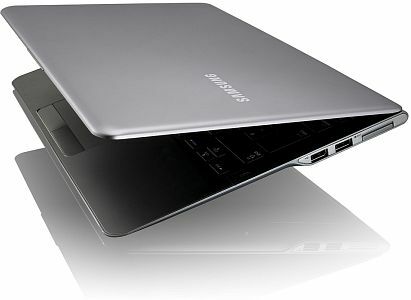 Coming back to another unique point about the Samsung Series 5 Ultra Touch, this is the only ultrabook to offer a 300 nits display in this price band. The Series 5 Ultra Touch offers battery backup time of around 6.7 hours. This is pretty much among the higher end across ultrabooks. And for a machine this slim and light to pack in a battery that offers more than 6 hours of backup is rather neat. The Battery Plus technology extends battery life by about 1500 charge cycles, by reducing the amount of charge the battery pack holds. There are two modes – Normal mode and Battery Life Extender mode. In the former, the battery is charged right up to the brim, 100% every time. In the second mode, the charging is restricted to a maximum of 80% at every charge, preventing overcharging and heating. This software utility sits in the All Programs list, and the settings can be changed anytime, according to your requirement. The Samsung Series 5 Ultra Touch NP540U3C-A01IN is available for an MRP of Rs. 63,300. How to master reset an iPhone 5?